Get yours for as little as $259. Early reviews of the Apple Watch Series 3 are now dropping ahead of its official debut on Friday, September 22. If you’re still in two minds about whether you should upgrade, they should help you make that all-important decision. The general consensus is that LTE is a great addition to Apple’s wearable lineup. Just don’t expect a drastically different experience, and prepare yourself for some early teething troubles. Many reviews point out that Series 3 suffers from cellular connectivity problem, which is particularly frustrating if that’s the main reason you’re buying this device. However, Apple has already acknowledged this — and promised a fix. Sadly, that promise didn’t come before reviewers got their hands on the device, so many of them dwell on this issue. They’re also keen to point out that the added LTE connectivity makes battery life on Series 3 somewhat disappointing. The New York Times has one of the few reviews that praises Series 3 battery life, with almost everyone else frustrated by it. It seems that if you’re going to be using LTE a lot, don’t expect your new Apple Watch to last anywhere near as long as your old one. Performance was one of the original Apple Watch’s biggest issues, but Apple fixed that with a dual-core processor for Series 2. Series 3 offers an improved version that’s up to 70 percent faster, which means you can look forward to a snappy experience no matter what you’re doing. Just like its predecessors, Series 3 comes with a few complaints. It’s not a perfect device that’s going to suddenly convince you that you need a smartwatch if you managed just fine without one up until now. It’s also not going to convince you that you need to upgrade if you’re already using a Series 2 device. But if you are in the market for a new watch and you want the best available, Series 3 is the only one you should consider — whether it’s with or without LTE. “So the final verdict? 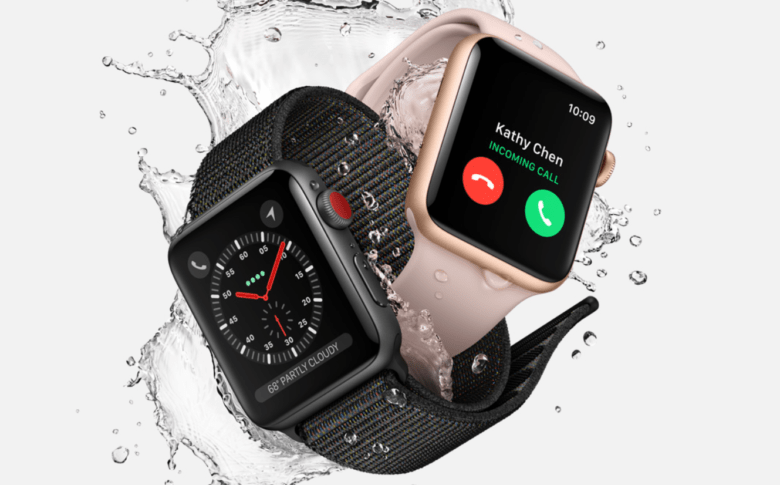 The Apple Watch Series 3 is the first sign that wearable computers are maturing and may eventually become a staple in consumer electronics,” concludes The New York Times.